Okay, I'm off for a few weeks for Chinese New Year and will return with the Strangers posts at the end of the month. But before I go here is a quickie involving last year's reboot of Tomb Raider. 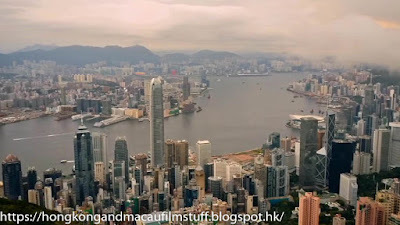 Perhaps in a bit of a homage to the previous version of Lara Croft, some of the action from the reboot supposedly takes place in Hong Kong and we are given a typical Hong Kong harbour view in order to establish that that's where the action has moved to. However, it turns out (after some of the scenery in the background didn't make sense to me, see bottom image) that the key Hong Kong-based scene - supposedly shot in Aberdeen Harbour when Croft goes to find the boat her father was on - wasn't filmed in Hong Kong at all but was actually shot on a well crafted studio set in South Africa. 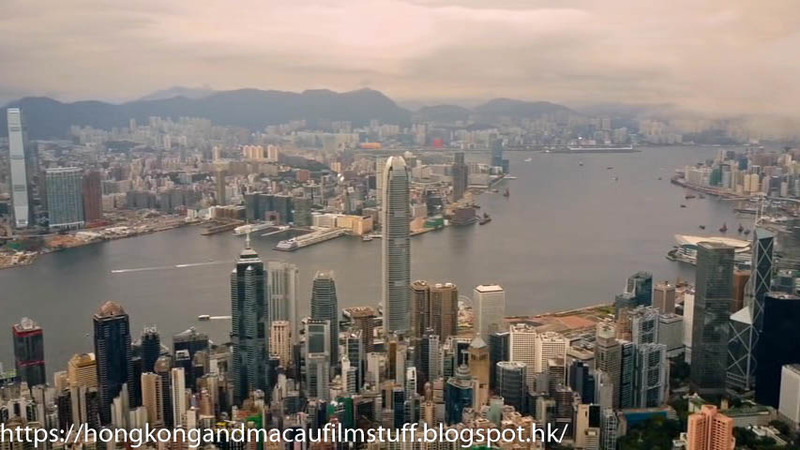 I must admit it had me fooled for a few seconds because it blends real superimposed shots of the harbour with what appears to be computer generated buildings. So I have included a couple of examples below. The first image shows a superimposed view along the real Aberdeen Harbour in the top half of the screen, with the South African set in the bottom half. You can achieve a view like this if you stand on the breakwater at the western end of the harbour, but there are no flat concrete piers there. Still, it's very convincing. 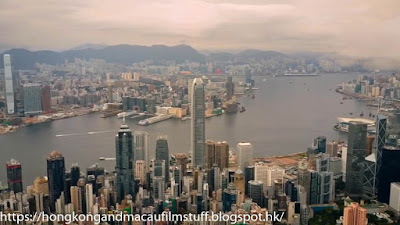 The next shot shows where the CGI buildings appear. 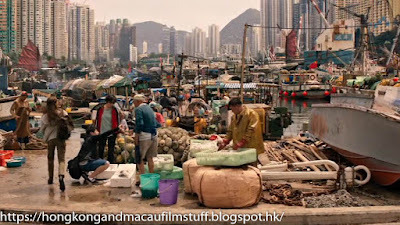 They look sort of Hong Kong style I suppose but anyone familiar with Aberdeen will know that there are no buildings like this at that location. They look okay on film but closer scrutiny reveals the slightly computer-generated quality to them. 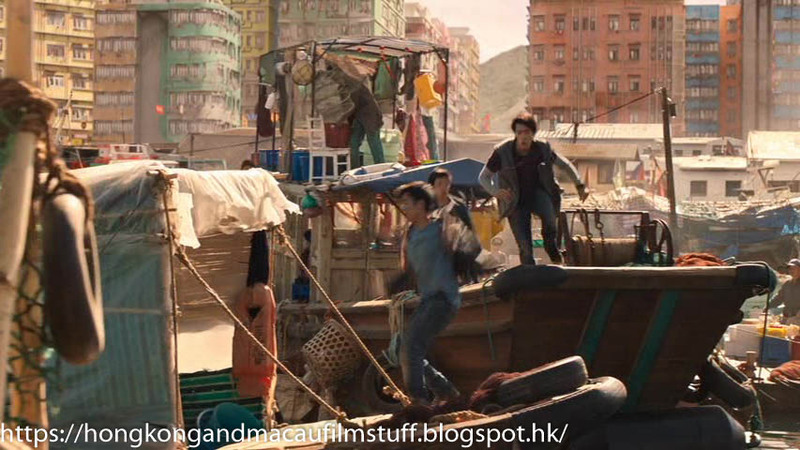 When I saw the movie last year I have a feeling that the typhoon shelter scene didn't look right. They have explained it in the bluray bonus section how they shoot it. I have an impression that none of the scene was actually filmed in Aberdeen. I will watch the Bluray Bonus section again and get back to you.